With the aim of further increasing its market share in southern Italy, MTA has signed an agreement for the distribution of its products on the Calabrian market with Raffaele SPA. 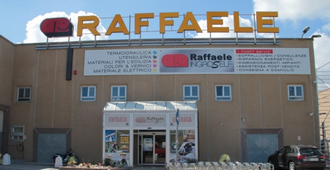 On the market since the ‘40s, Raffaele SPA is a leading wholesale and retail distributor of construction materials, bathroom furnishings, ceramic tiles, doors, plumbing, heating and air-conditioning equipment, metal fixtures, hardware and paints. The company has a number of points of sale in the Lamezia Terme area, along the route to Catanzaro, and is organised to offer a complete, efficient sales and before- and after-sales technical service. The Calabrian firm has grown to the point where it is now the obvious point of call for companies and consumers interested in purchasing products and services in the home renovation sector. Under the distribution agreement, Raffaele SPA will hold a stock of materials for the residential market to be immediately available to customers, to deliver a top-grade service.